A medication currently approved to treat nausea in cancer patients may help the hardest-to-treat alcoholics reduce their drinking by reducing their craving for alcohol, but it may never be available in the proper dosages for alcoholism treatment. One of the groups of problem drinkers that are difficult to successfully treat is those known as early-onset alcoholics—those who develop alcohol use disorders before reaching age 25. This group is believed to have a biological predisposition toward alcoholism, with a strong family history of alcoholism. Early-onset alcoholics are generally resistant to behavioral therapies alone, possibly because they have an imbalance between two chemical "messengers" in the brain, serotonin, and dopamine. This imbalance is believed by scientists to create a craving for alcohol. There is a great deal of research showing serotonin dysfunction among early-onset alcoholics. Early-onset alcoholics have a "greater family history of alcoholism, increased the propensity for antisocial behaviors, and a more stable and severe disease state than those with late-onset alcoholism," according to the National Institute on Alcohol Abuse and Alcoholism. The early-onset alcoholics historically are not helped by counseling, exhibit anti-social behavior and have a high relapse rate when they attempt to stop drinking. 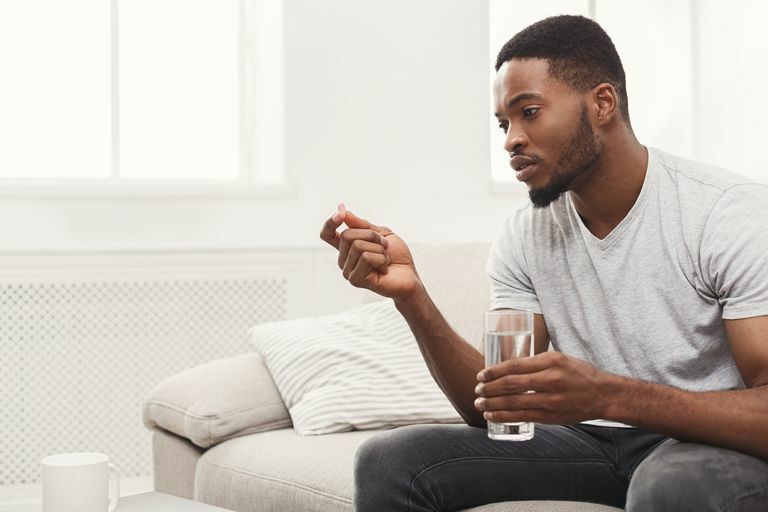 Because this group does not respond well to behavioral therapy alone, researchers have been seeking medications to treat their chemical imbalance. One of the medications that have repeatedly been found to reduce cravings in alcoholics who are biologically predisposed to alcoholism is ondansetron, an FDA-approved medication for use to treat nausea in cancer patients. It is marketed under the brand name Zofran. Several studies with groups of early-onset alcoholics that treated one group with ondansetron and a control group with placebo have found that the medication helps reduce their alcohol cravings. A study at the University of Texas Health Science Center at San Antonio of 271 patients identified as early-onset alcoholics found that dosages of ondansetron over an 11-week period resulted in fewer drinks per day and more days without drinking at all, compared to the control group. Another study compared how well that ondansetron reduced cravings in early-onset alcoholics to what is known as late-onset alcoholics—those who developed alcohol use disorders after age 25. Ondansetron produced significant reductions in craving in the early-onset group, but not the late-onset alcoholics. Drugs that modulate the activity of the brain's dopamine system by affecting neural pathways have been shown in previous studies to alter drinking behavior. These drugs include ondansetron, naltrexone, topiramate, and baclofen. One eight-week study found that combining ondansetron and naltrexone significantly reduced alcohol consumption in the medicated group, compared to the placebo controls. All studies of ondansetron found that any side-effects of the medication are mild. The adverse effects most often reported were constipation, headaches, and sedation. However, one of the problems with treating alcoholics with ondansetron is that the amount of the drug used in all of the clinical studies was much less than the dosage used to treat nausea in cancer patients. The medication is not commercially available at the therapeutic treatment dose for alcoholism, but is only available, outside research treatment settings, in the higher dosage to treat chemotherapy-induced nausea. One study tried to determine if the dosage used for treating nausea would work for treating alcoholism but was not successful. The researchers concluded: "It appears that the optimal dosage to treat alcoholism has yet to be determined." Although research shows that ondansetron is an effective treatment for early-onset alcoholics has been reported for years, it still lacks FDA approval for this indication. In the meantime, the medication Campral has been approved by the FDA to treat alcoholism by reducing cravings. With ondansetron having been on the market long enough to now be available in generic form, it probably would not be financially feasible for the manufacturer to seek approval for a lower-dose version for the treatment of alcohol use disorders. Ait-Daaoud, N. et al. "Combining ondansetron and naltrexone reduces craving among biologically predisposed alcoholics: preliminary clinical evidence." Psychopharmacology February 2001. Bankle, AJ, et al "Medication Treatment of Different Types of Alcoholism." American Journal of Psychiatry June 2010. Caorrea Filho, JM, et al "A pilot study of full-dose ondansetron to treat heavy-drinking men withdrawing from alcohol in Brazil." Addictive Behavior April 2013. Johnson, BA, et al. "Ondansetron reduces the craving of biologically predisposed alcoholics." Psychopharmacology April 2002.